Unusually warm, spring-like weather overtook the Lake Erie region by mid-march, melting snow cover as well as tributary mouth and lakeshore ice. 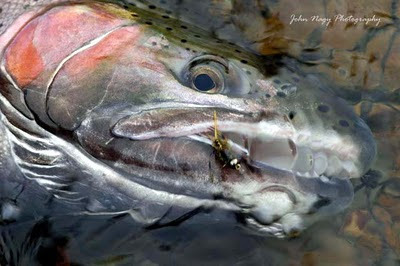 Traditionally, the spring steelhead season begins by the second or third week of March when “ice-out” occurs (i.e., lakeshore ice melts and the tributary mouths open up). 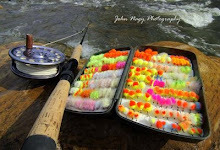 This encourages fresh steelhead to move into the tributaries mixing with “wintered-over” fish. As the tributaries warm-up in the spring and the days or “photo periods” get longer steelhead will move onto gravel and begin their annual spawning rituals. In Pennsylvania this spring (as well as Western New York), expect about roughly 25% more fresh steelhead in the tribs (to add to the total 2009/2010 run) with the majority of steelhead already having arrived by last fall and winter. Ohio will get some stray Pennsylvania fish as well as the bulk of their steelhead run this spring (the Little Manistee strain steelhead) which is primarily a late winter/early spring runner. Steelheaders should be aware that juvenile steelhead smolt plantings occur in the spring on the Lake Erie tributaries. Extreme care should be taken when catching and releasing these young steelhead. Tributary sections which have been recently stocked with steelhead smolts should be avoided by fisherman to protect future runs of steelhead. A bonus to spring steelhead fishing are runs of smallmouth, pike and walleye out of Lake Erie (usually on the bigger tribs). Also contributing to the mixed bag is the annual sucker run. Avoid catching suckers by fishing faster runs and pools and also fishing farther upstream on the tributaries since they are not as strong runners as steelhead. On March 25, 2010 the Lake Erie water temperature (degrees F) off Toledo was 40, off Cleveland was 35 and off Erie was 33. April 1st is the deadline for the Army Corp of Engineers to report on the financial and environmental costs for dealing with the Asian Carp threat to the Great Lakes. Asian Carp are an invasive species big time that can consume 40% of its body weight daily in plankton and grow to 100 pounds. Since the major flood of 1993 they have been slowly migrating up the Mississippi River and right now are on the door steps of the Great Lakes (although some say they have already entered Lake Michigan based on DNA samples taken). Ohio Governor Ted Strickland has taken the position that the only the way to stop this invasive species dead in its tracks is to close the Chicago navigational locks on the Illinois River and prevent it from entering Lake Michigan. 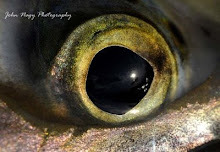 The problem is the Federal government has decided that the carp can be controlled by closing the locks for four days a week through a 75 million budgeted plan! This half-hearted effort by the Feds (which is geared toward protecting 70 million dollars worth of barge traffic on the Chicago River) puts the 7 billion dollar per year Great Lakes sport and commercial fishery at risk with disastrous consequences. Steel header’s interested in supporting Governor Strickland’s position of closing the Chicago navigational locks can register their opinion by calling the Ohio Attorney General’s toll-free hotline at 800-282-0515. In Ohio the Western Reserve Land Conservancy, in conjunction with the Ashtabula County Metro Parks, has developed a plan to increase public recreational access to Conneaut Creek. They have made an agreement to purchase the 35 acre Woodring property near Conneaut, OH and combine it with an adjacent 79 acre site already owned by the Ashtabula County (both properties are located on the south side of South Ridge Road). The goal is to create a 114 acre county park which would increase public fishing access to the river and also protect a sensitive riparian corridor. The Land Conservancy is seeking funding to finalize the purchase. In Pennsylvania the Pennsylvania Fish and Boat Commission approved a long term lease agreement with the Lawrence Park Golf Club to install fish passage structures at two impediments in Four Mile Creek. Since 2007 a team of agencies and groups, led by the Pennsylvania Lake Erie Watershed Association (PLEWA), have worked to restore 4 Mile Creek to a more natural flow and facilitate steelhead migration farther upstream. The structures will be funded with monies from Pennsylvania’s DEP Coastal Zone Management Program and Department of Conservation and Natural Resources’ Community Conservation Partnership Program. Pennsylvania steelheaders are reminded that locations of finalized public fishing easements, obtained through the Pennsylvania Fish & Boat Commission Lake Erie Access Improvement Program, are available on-line. Go to the Commission’s website steelhead page at http://fishandboat.com/steelhead.htm for a map of public easement locations as well as other public access spots. In New York the United States Army Corp of Engineers (USACE) has received federal stimulus money to fund the completion of a feasibility study for the Cattaraugus Creek Restoration Project. Part of the goals of this project are to further develop the wild steelhead fishery on the “Cat” and also open up 34 miles of existing NY State Public Fishing Rights land easements above the dam to steelhead fishing. The feasibility study primarily involves examining the stability of the Springville Dam as well as river hydrology work. Results of the study will influence development alternatives for the fish passage device (although dam removal is still an option). A public information meeting concerning the results of the feasibility study is tentatively scheduled by the USACE in the fall of 2010 or winter of 2011. The USACE has also received matching funds from the NYDEC to begin the construction phase of the Chautauqua Creek dam modification project. This project will modify two low level dams located on Chautauqua Creek above the town of Westfield in Western New York. When completed this will help steelhead to move up into an upper gorge area where New York State Public Fishing Rights (PFR) land is already in place. After bids are awarded by the USACE this spring, construction is planned to be started in August and finished by the fall in September. 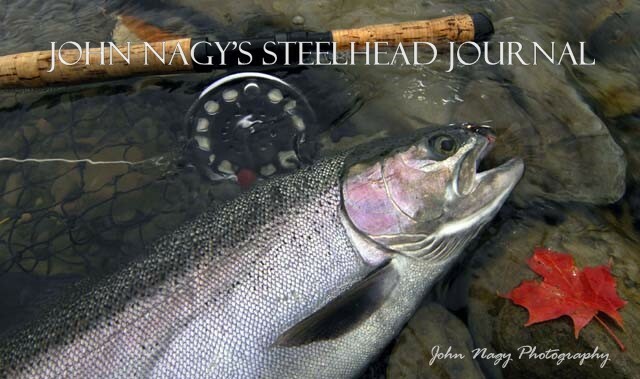 More detailed information on steelhead fishing in the Lake Erie Region can be found in John Nagy’s book “Steelhead Guide, Fly Fishing Techniques and Strategies for Lake Erie Steelhead”.